Know the future of real estate. Data licensing packages start at $5K/year. Data is available via bulk file or API. Data is not for external website display. Contact us and get started now! 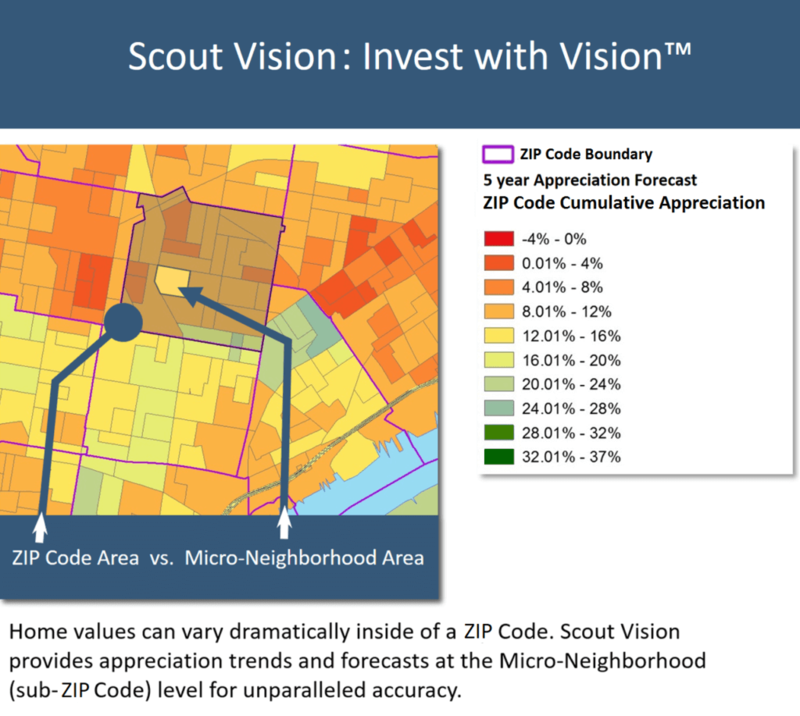 Scout Vision® — Predictive Neighborhood Home Values and Appreciation Rates for the Future 3-5 Years.